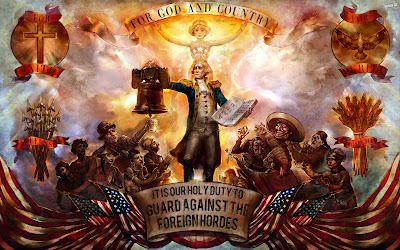 The Careless Gamer Blog: Game Review: A Spoiler Free Review of Bioshock Infinite! 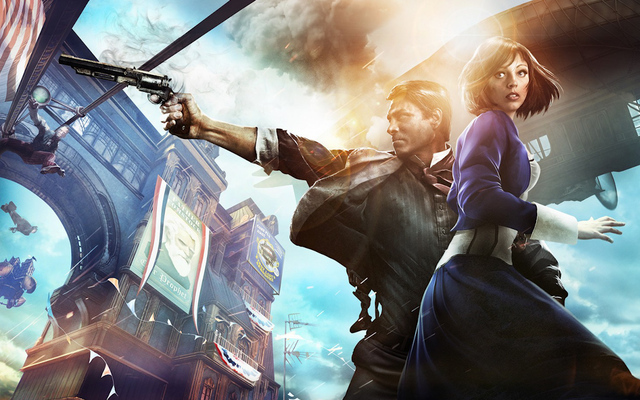 Game Review: A Spoiler Free Review of Bioshock Infinite! Plot: Without ruining the game's rather complicated plot (I actually had to read a series of wikia/blog posts after beating the game to understand it) let's go into a few vague explanations. The plot is complicated... So complicated that if you miss any of the well-hidden recording devices throughout the game (ala Bioshock, System Shock 2, Dead Space, etc) you're likely to miss a key plot point. While I admire the immersion they put the player through (heh heh, baptism joke) I don't like when I complete something, throw up my hands in confusion, and have to go online to read about plot points I was never was exposed to. Complications aside, the game does a very good job of making you feel like you're in a real world and the (basic) plot unfolds in a very powerful way. I felt the characters all had depth, I genuinely cared about a girl I expected to be annoying (this is actually a really huge feat), and I didn't see where the plot was going until I'd arrived at the end of the game... Actually a bit after... I like when games require the player to think. All of this aside I philosophically disagree with a large plot point/mechanic on which the entire story revolves around and don't think they fully committed to the mechanic. Had I understood the 'mechanic' (I'm using a vague neutral term to completely avoid spoilers) from the beginning I probably would have not played the game because I think it's lame. I'll be happy to discuss/argue it with any of you privately but I don't want to write any spoilers here. In short, they do a good job of showing us a story that I think is not a good story to begin with. "Freedom": This game is linear. Period. While there are a few instances where you can explore an area or initiate combat (in places where combat is not otherwise necessary) the game couldn't be more linear if someone asked "would you kindly..." However, given the nature of the game's predecessors I didn't expect a great deal of freedom and didn't mind the lack of it. In relation to the rest of the series you are given a lot more exploration-based freedom and even a few instances where you can decide of a person lives or dies. Gameplay: Ironically this is actually where I felt Bioshock Infinite was its weakest. Having just completed Thief, System Shock 2, and (still playing) Skyrim I've become accustomed to playing a stealthy guy who likes to avoid combat and make as little noise as possible. That just isn't possible in Bioshock Infinite, which wouldn't be a problem if the combat mechanic was good. You will literally have to force your way through what equate to an endless sea of choke points where enemies will head you off and attack en mass. If someone sees you battle music cues up and it's an instant aggro of every enemy on the map. It's all but impossible to evade combat by running away so combat (and not avoid it) is clearly a big part of the game. The previous games were sort of survival-horror but there's nothing scary about the citizens of Columbia you murder in droves. In combat, you basically have two guns (at a time) making it a Halo style FPS (All enemies take multiple bullets to kill unless it's a head shot), which is weird when you're fighting hoards of humans. To add to my Halo analogy you're also given a recharging super-shield and (like its predecessors) death has almost no penalty. Also like the other games you have access to a series of abilities that are integral to the gameplay. I found most of them to have roughly the same effect (basically a sub-elemental shoot-attack, combined with a secondary mode that drops a sub-elemental proximity mine) and though some of the later abilities were fairly interesting it still felt like a Halo-1912 hybrid FPS with supernatural elements. If you like Halo then you might like combat. If you prefer Call of Duty (roughly 1 shot, 1 kill) you probably won't. Since I fall in the second category it's understandable that I wouldn't enjoy combat, especially with the departure of the horror elements. Feel: The setting is awesome. Period. 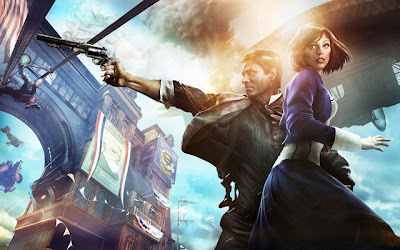 This game feels exactly like I'd imagine the 1910's were kind of like... Only with better technology (think 'Rapture'). 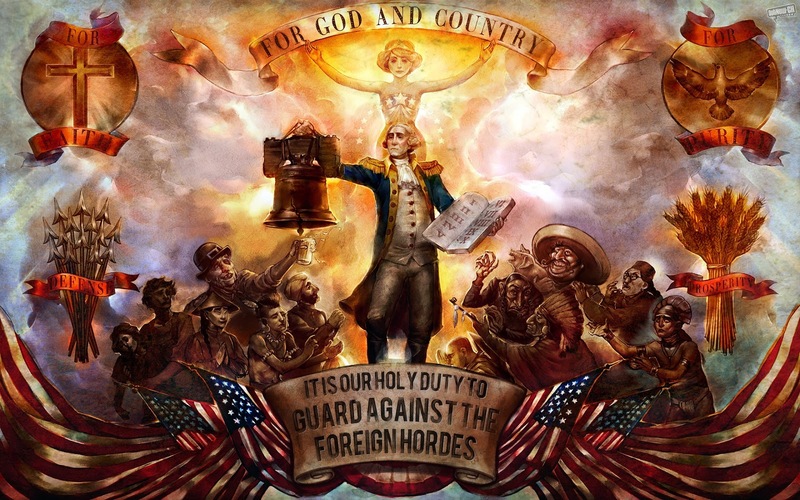 There are promotions for a brand of children's cigarettes, lots of racism, huge religious overtones in the daily life of citizens you pass, and a strong pre-depression era American pride that makes even the most right-wing Christians I know cringe. I feel that the setting is the strongest feature about the game (besides the art-stuffs) and it's extremely powerful. They set off to take us into a completely different world and greatly succeeded. Expanding on this, the non-combat parts of the game where you walk through the city are fantastic. I found myself enjoying the exploration portions of the game, even though I thought combat was clunky and forced. Art: The graphics are stylistic (color wise) and beautiful. The sound quality and music are top notch. The acting is emotion-evoking. Every little song being played on the street corners, the random parlor-singers, the dialogue between random people, the loading screens, and even the in-game advertisements (for just about everything) all add to the immersive experience. Top notch on all accounts. 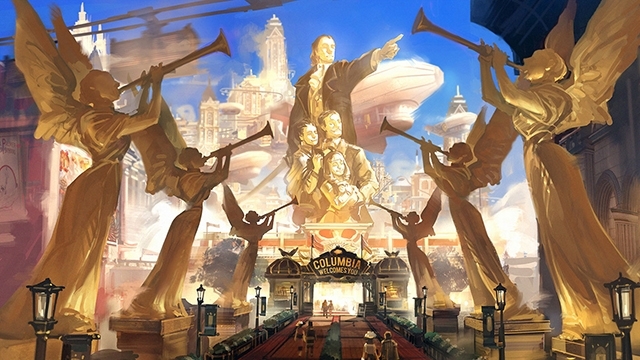 Closing Thoughts: Bioshock Infinite was well done. It had a really good environment and while the story was well executed I didn't like it for the above reasons. I found it's main mechanic, combat, to be in the style of the original Halo which felt awkward when fighting human enemies that should die to one bullet. I didn't like the abilities you're given and felt like the game dragged on after about the first 45 minutes. I also felt like many of the plot elements after the the game really gets going were very Doctor Who... Meaning that we're dealing with a world where anything is possible and they can randomly introduce huge world-shifting plot points at just about any moment. 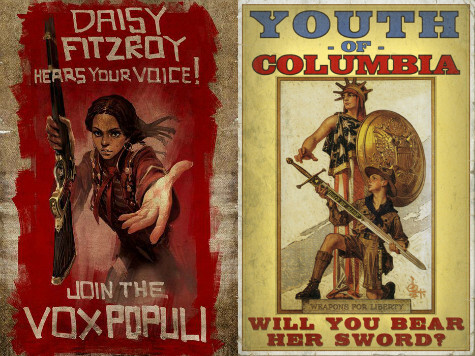 Though I'm a Doctor Who fan, this greatly detracted from my Bioshock experience. 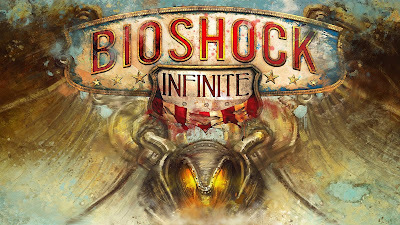 I liked the characters, I liked the world, and I even enjoyed a few elements of the gameplay (just walking through the world was wonderful) but ultimately it didn't make the game worthwhile for me because of the combat-mechanics. The beginning was fantastic, the last 30 minutes were good, but the middle was like wading knee-deep through a seemingly endless swamp (without an idea of where you're going). I didn't like this game but you might.